Take a look at this stunning property - this villa sits on 3700 square meters of private land and has a large swimming pool in the middle of the large garden that consists of a sunbathing area, an outdoor shower, a barbecue and a children's playground. 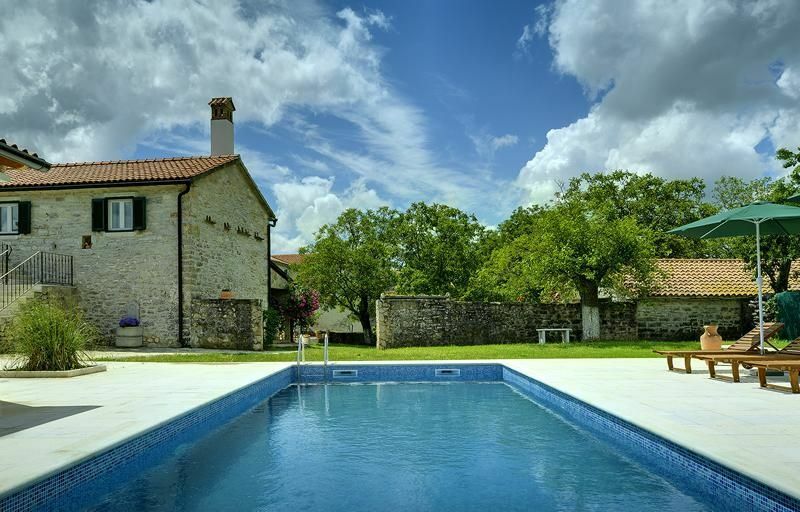 The property is surrounded by a thick natural stone wall and the property has 7 bedrooms. This villa is made for a fun holiday - it can accommodate up to 14 people! From the house to the beach is 12 km and the distance to the center is 7 km away. The nearest one grocery store is located 3 km from the holiday property. 3km the surrounding Restaurant can be reached.